The bad news is that it may be too late to come up with a gift for your clients that will stand out from the crowd. But that is not the real goal of a gift; the goal of a gift is to create a memory. At the end of the year when you think about what it means to make a gesture to recognize a relationship (particularly in a hypercompetitive world), it really is the thought that counts. 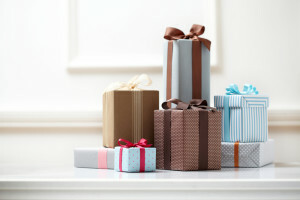 In countless client interviews, the theme of the “corporate gift policy” often comes up. Firms want to entertain their clients through the course of the year and often put their clients ill at ease because of a failure to know some very basic things about the client. For example, does the client have a corporate gift policy that precludes them from receiving a gift over a certain value, or any gift at all? So when clients receive a gift and have to reject it, it is a simple demonstration of a firm not knowing the client or contemplating the client’s world. Another version of this mistake involves who should really get the gift. One general counsel told me, “I have tickets or can get tickets to any event I ever want to go to. I can dine at any restaurant I want whenever I want, so those kinds of gifts are wasted on me. What really would matter is if a law firm would recognize the people on my team that worked so hard day in and day out to make me look good and be successful.” Of course, that same general counsel when he receives the generic gift basket immediately gives that to members of his staff to enjoy and appreciate. The thoughtful firm would already be sending that recognition, that gift, to those individuals so critical to success. The perfect client gift this holiday season and into the New Year is the ability to demonstrate thoughtfulness. The only way to ever uncover what is important to the client is by asking. Too often the conversation between a lawyer and a client is about solving a problem that already happened. What really drives client loyalty is understanding a client’s needs, getting to know the strategic investments and initiatives and knowing what success looks like to the client. This post originally appeared on Bloomberg BNA’s Big Law website on December 14th.